Now n Then Retro-Essential Pen Review – Pens! Paper! Pencils! 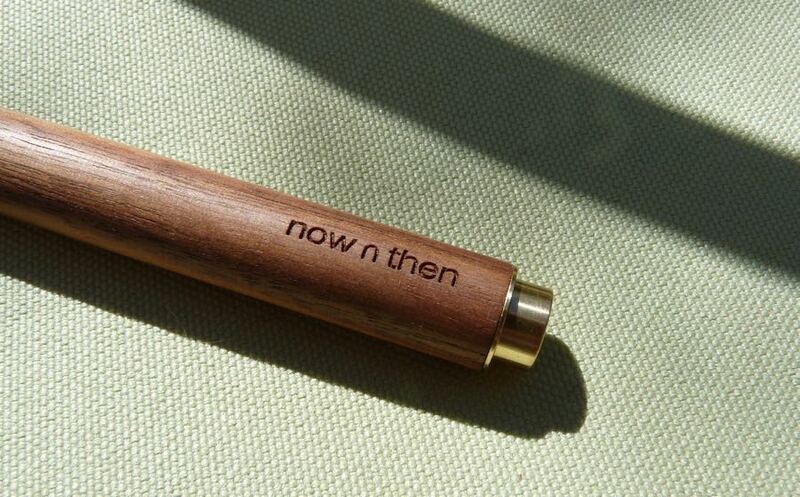 The Now n Then Retro-Essential is a pen that’s available with a walnut, rosewood, beech, oak or Pterocarpus indicus barrel and plain brass or gold-coloured brass hardware. Each pen comes with a detachable clip, stylus tip, a Schmidt 888F ceramic roller (liquid ink) refill and also a Schmidt P900M ballpoint refill. They can be found online for $60-65. 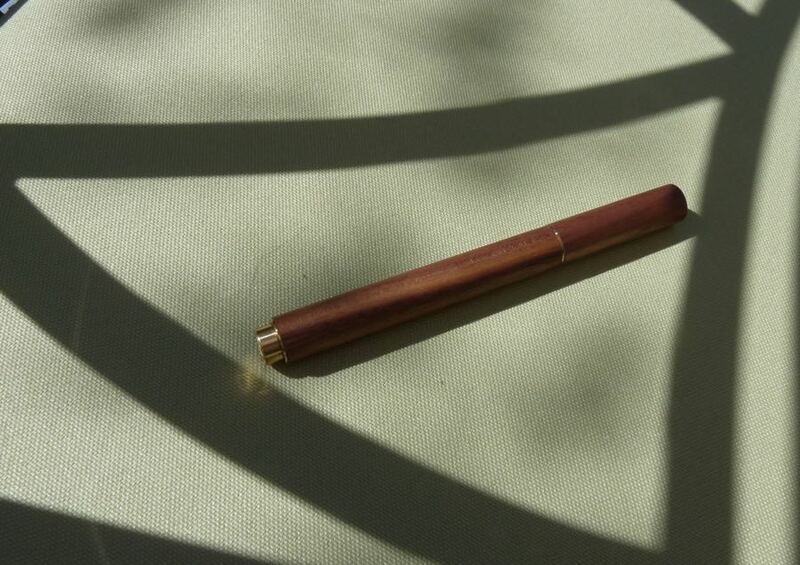 This model, walnut with golden brass hardware, was sent to me by ISHUJA for free for review purposes. These are my honest opinions. The refills are good choices. 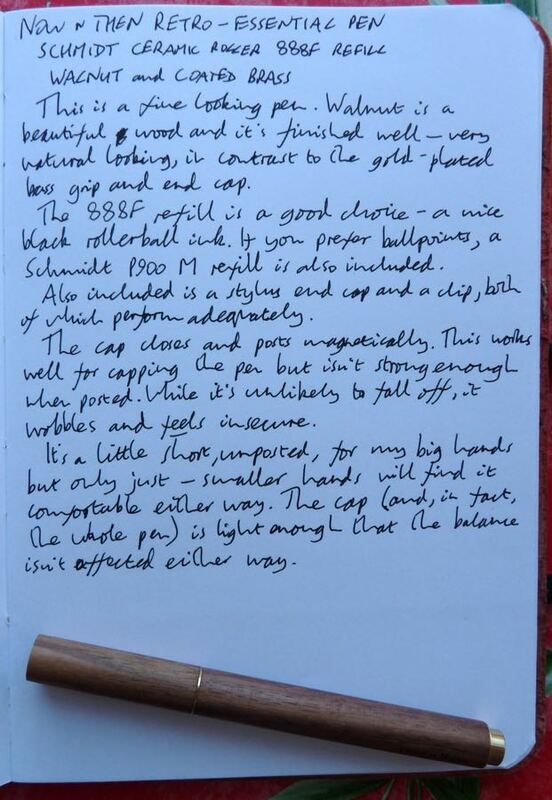 The 888F is a decent rollerball that puts down a consistent and strong black line. The P900M has a good reputation amongst ballpoint fans. Being a standard Parker G2 kind of size, there are lots of other choices too. The clip is functional. Likewise, the stylus tip does it’s job. Personally, I don’t use either so I appreciate them being optional. The cap closes and posts magnetically. It’s quite secure when capped and I wouldn’t have many worries about it coming off accidentally. When posted (and I find the barrel is just a little too short for my hands for me to want to use the pen unposted) the cap feels as if it will fall off. This isn’t going to happen: no matter how much I shook the pen with the cap posted, it didn’t come off. However, it does move around a little and doesn’t have that reassuring solidity that I’d like. It’s a minor detail but it does detract from the experience of using the pen. A slightly wobbly cap on a light pen takes something away from the overall feeling of quality and, for me, spoils the pen somewhat. The pen looks wonderful though. 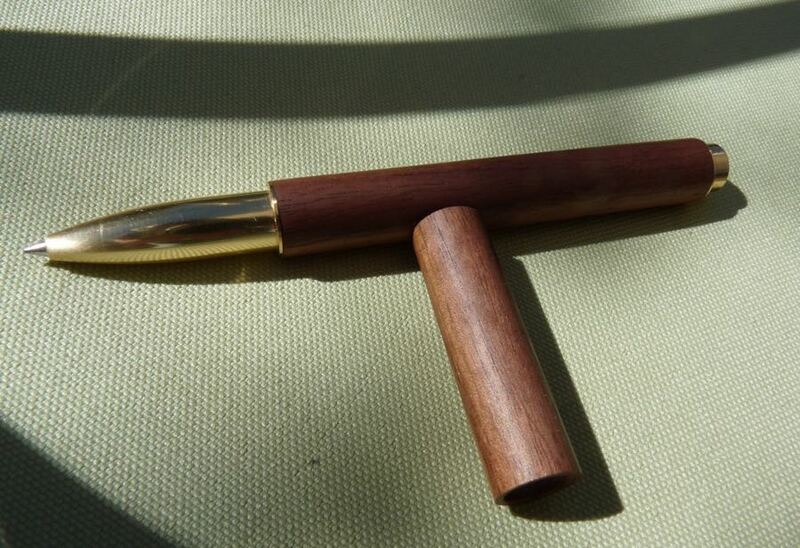 I like wooden pens and walnut is a beautiful wood. The finish is excellent – very natural looking. I wouldn’t have picked the gold-finished brass myself, I’d have much preferred the uncoated brass, which will develop a patina all of its own. The Retro-Essential is a great looking pen with an excellent choice of refills (and two great ones included as standard). 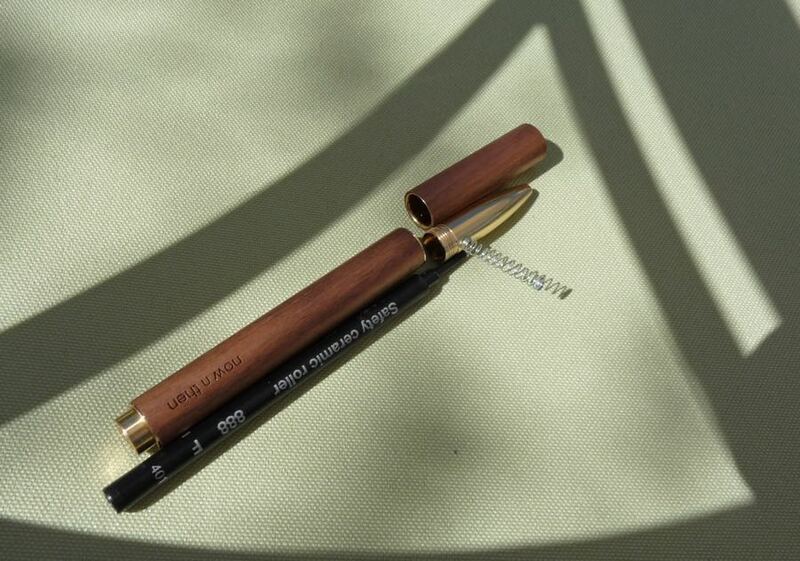 It can be configured in various ways so, assuming you like wooden pens in the first place, it’s likely you can specify a pen that meets your both your tastes and your needs. 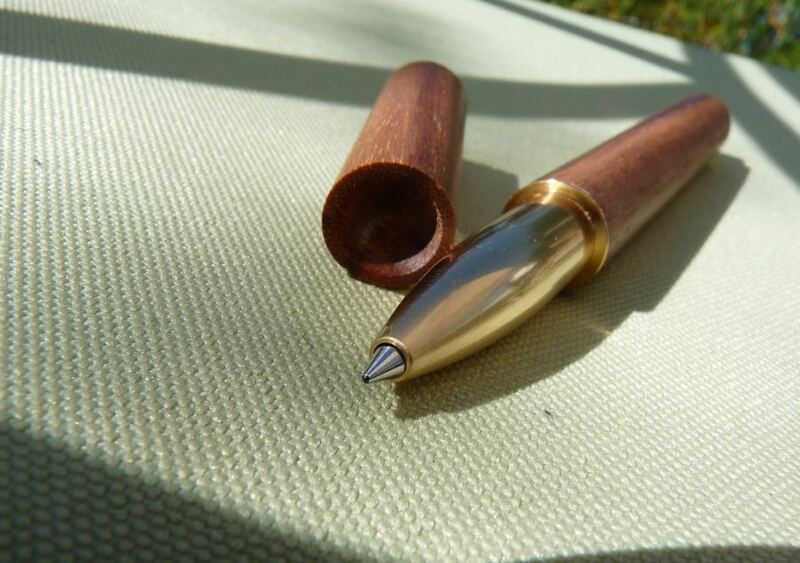 If you’re a able to be a little more tolerant of the wobbly posted cap than me, it’s a good little pen. Thank you to ISHUJA for sending me this pen to review. I think that you misspoke. The Schmidt 900M is a Parker G2 style refill not a Pilot G2. Very different geometries. You’re right, I’ve changed it. Thanks Paul.